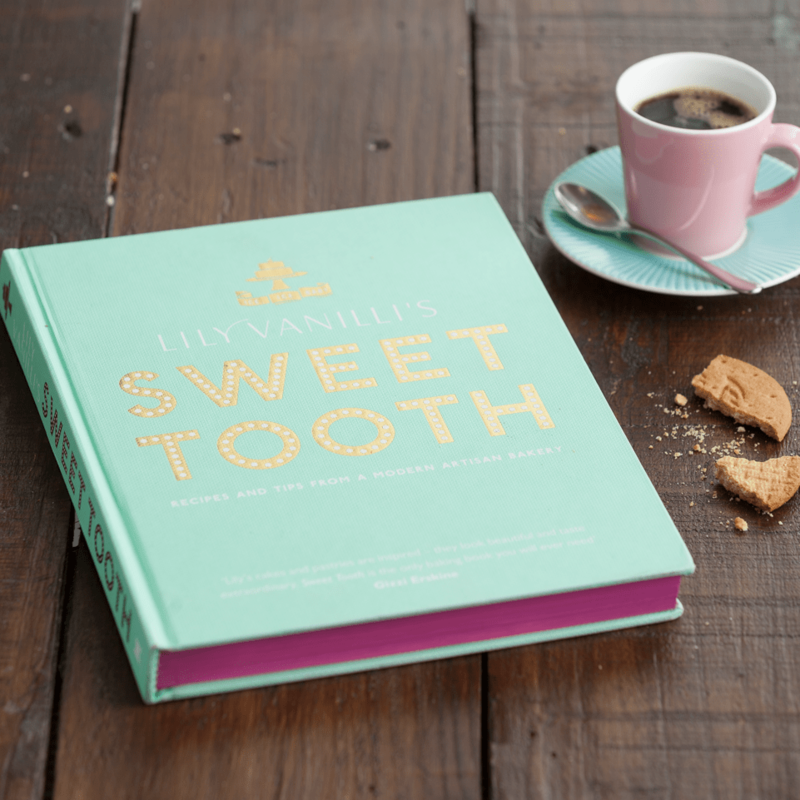 For this weekends cookbook review I’m looking at Sweet Tooth by Lily Jones (aka Vanilli). There is no doubt that all the cakes, biscuits and pastries in this book look amazing… very different to your ordinary bakery goods. The photography is okay nothing special, the lighting is nice but not overly inspirational. The joy of the book comes from the beautiful food styling and the food which are both by Lily. Some of my favourite recipe images are the candied orange slices, where the page is filled with sticky orange slices from an over head view. I also love the cocoa meringues with dark chocolate and pistachio, gorgeous styling. And the cakes that really stand out are the chocolate avocado cake (the green icing really makes this look amazing) the bleeding heart cake (which you must look up) and the shattered glass cake (made from coloured sugar) truly inspirational cake making. I also look the mint green book cover and the pink pages!